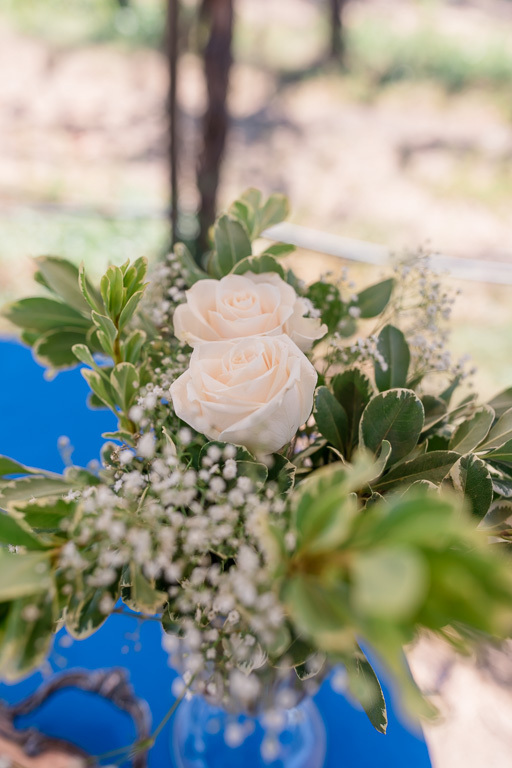 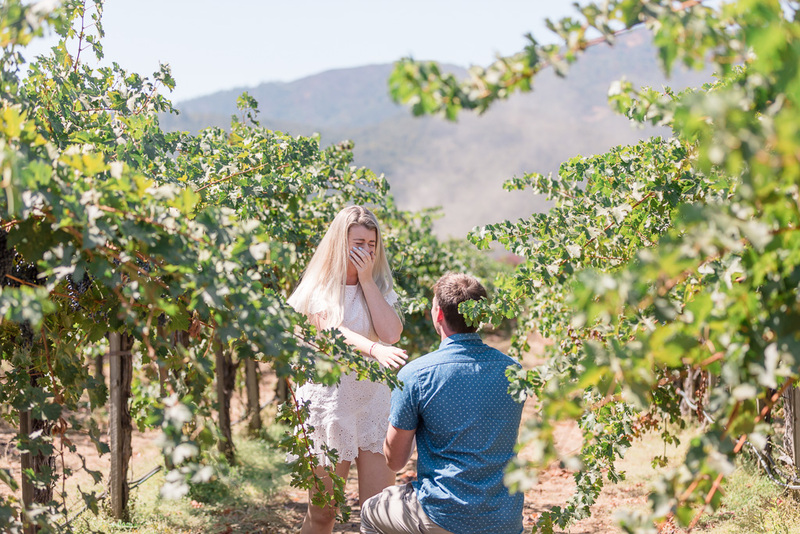 Josh had been planning his surprise proposal at Peju Province Winery for half a year… he had gotten in touch with me in March! 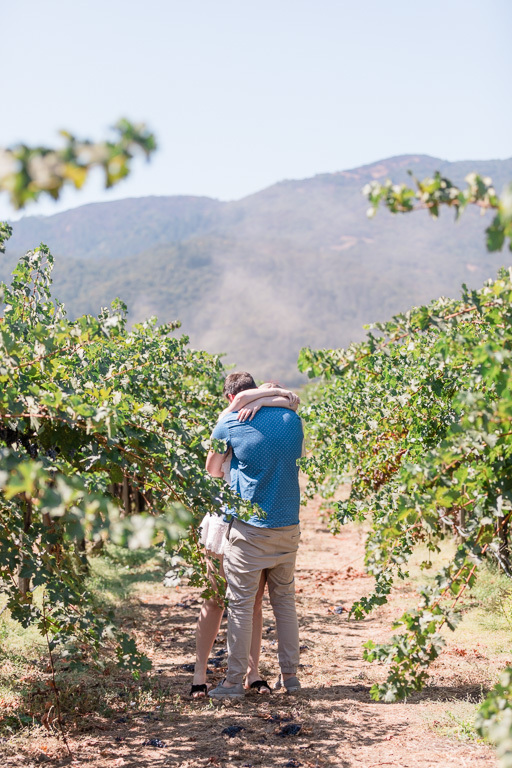 I have to wonder how he was able to keep such an exciting secret under wraps for six months, but somehow he did it! 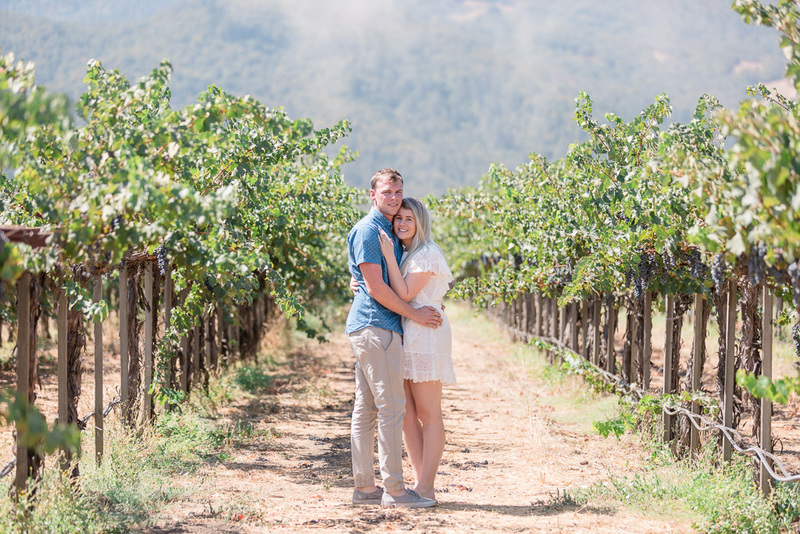 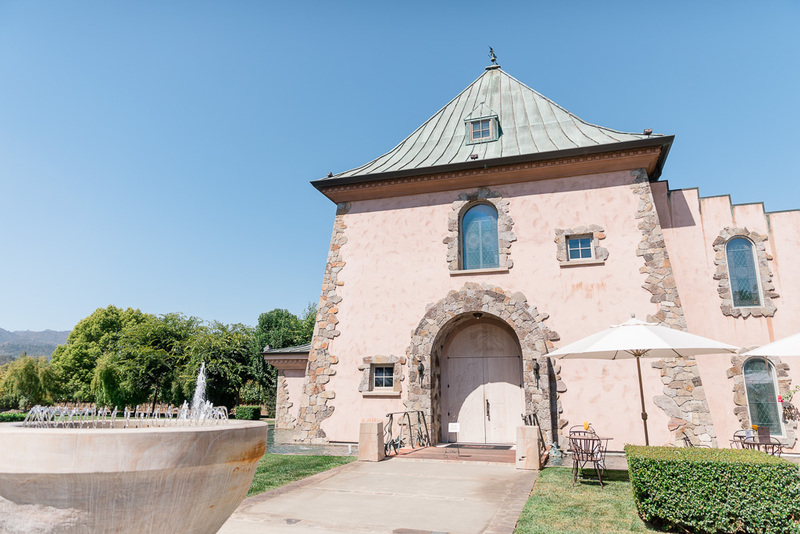 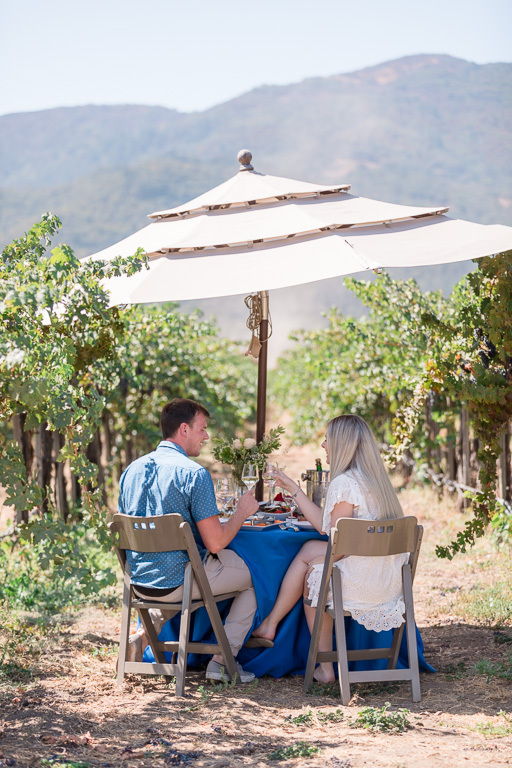 Josh and Tayla flew all the way from Australia to visit our Napa Valley, and what she thought was just a relaxing day out touring wine country turned out to be so much more. 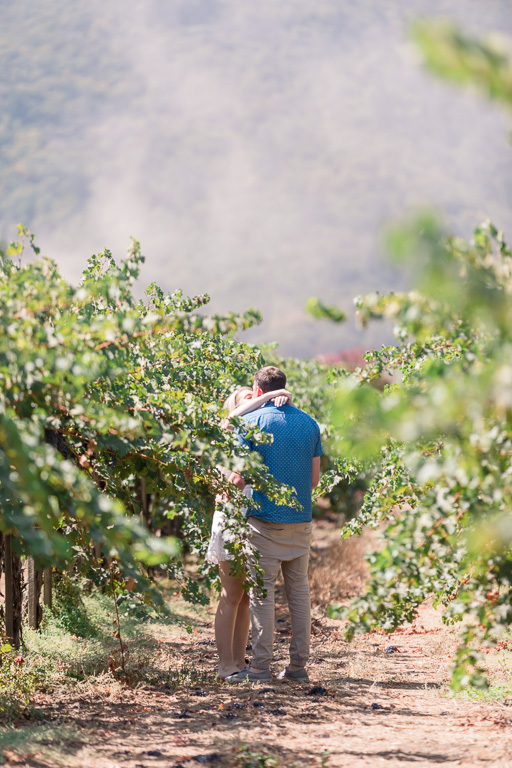 On the big day, J&T’s private driver dropped them off at Peju, where the couple had a quick tasting of the winery’s wonderful product. 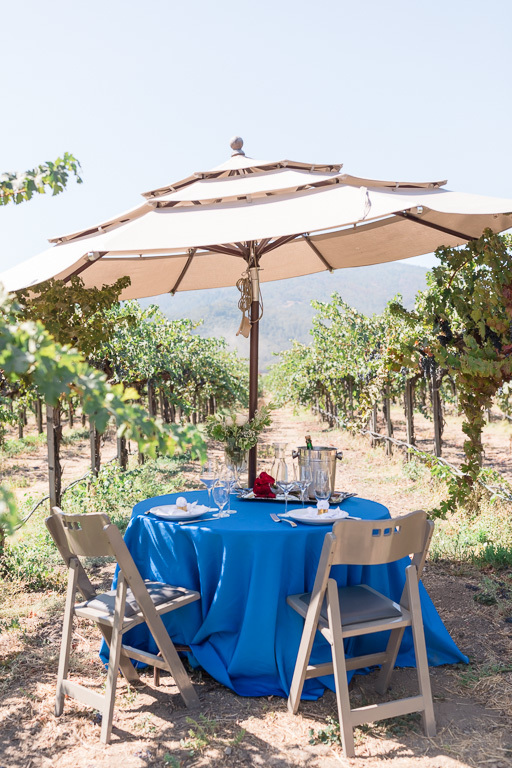 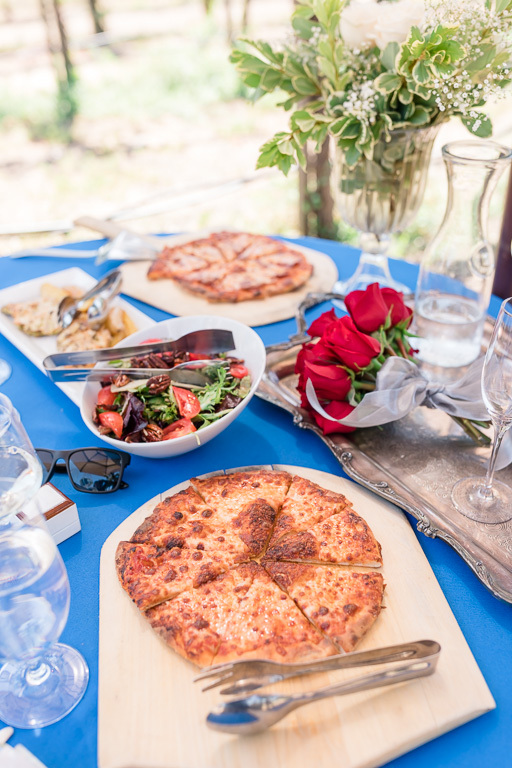 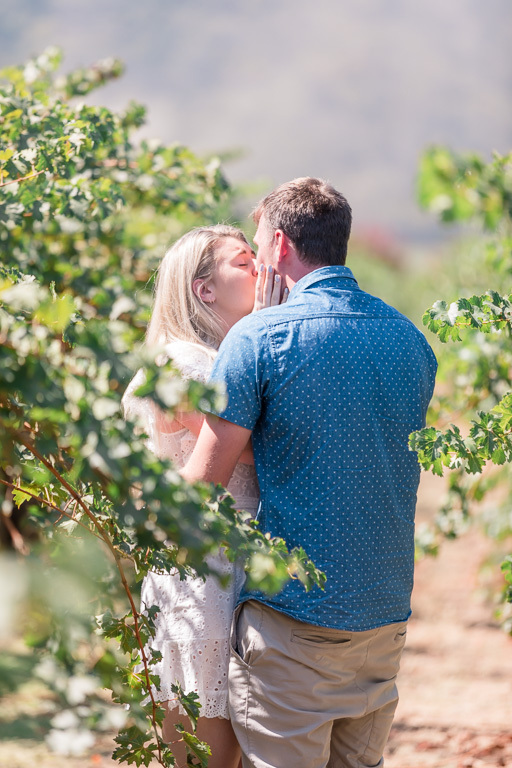 The winery staff then led them on a supposed “tour” of the winery, but actually, it led into a surprise for Tayla: there was a private table hidden away in the vineyards just for them. 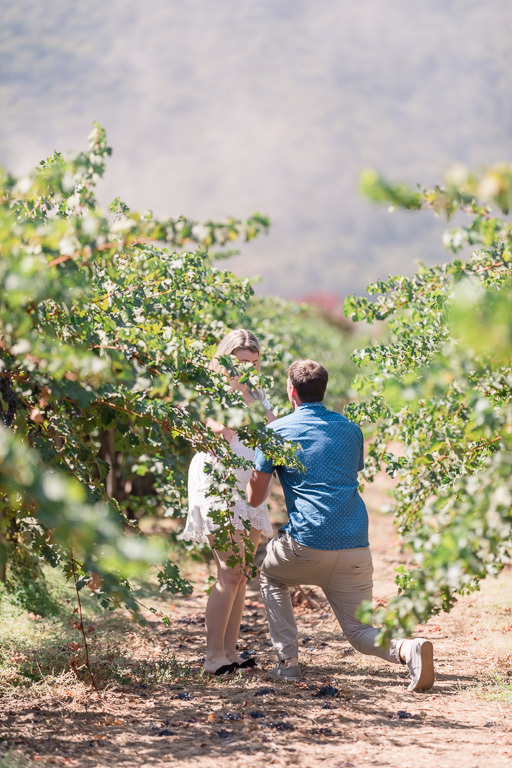 But before starting on their meal for two, Josh led Tayla a little further into the vineyards, where he popped the question. 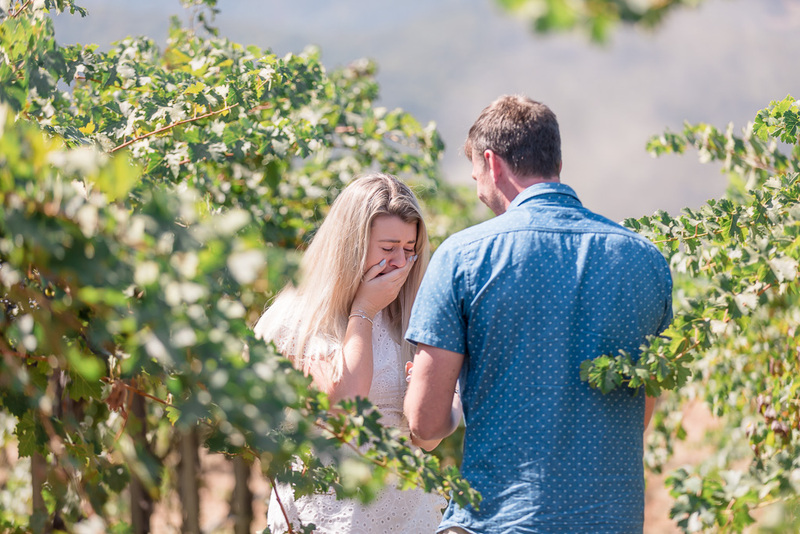 We don’t usually hide in literal bushes for proposals, but kind of had to this time 😛 Congrats to Josh & Tayla!